I have already told you about my love for our new linen/cotton blend lace weight yarn – but here it is in action! 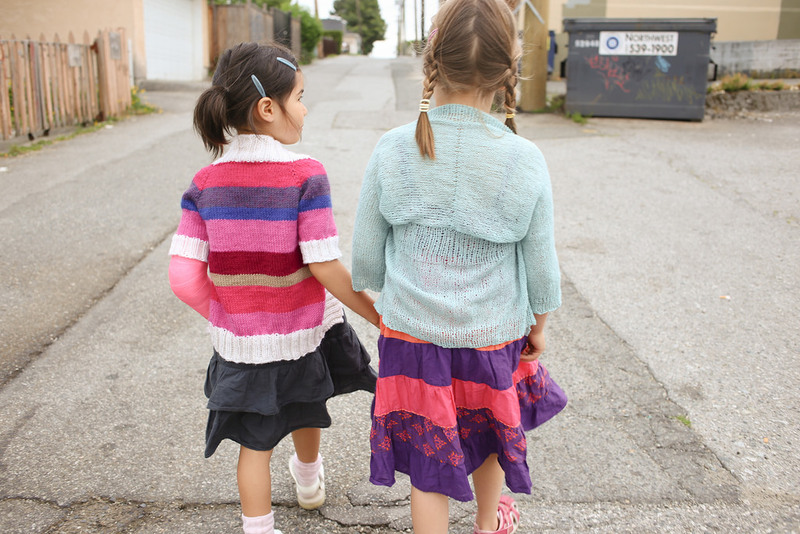 A HUGE thank you to Mary who sample knit the Wispy Cardi by Hanna Fettig. 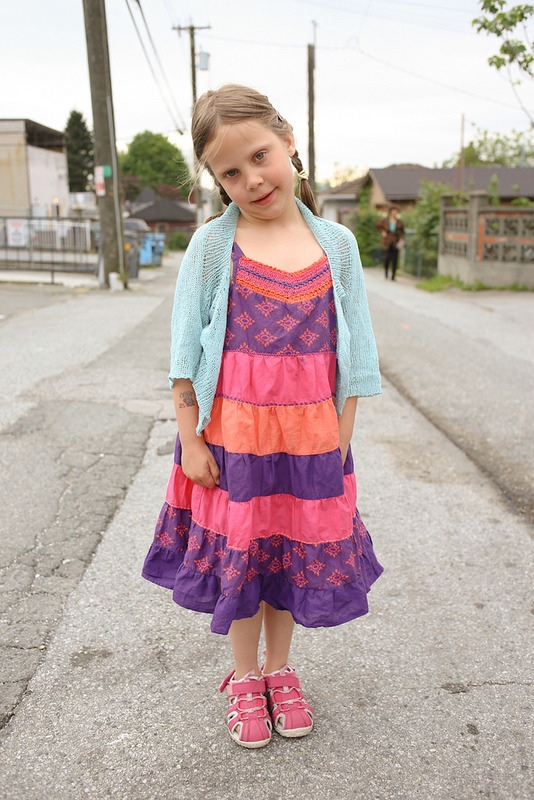 She knit the 8/10 year old size and used only 1 skein of the Pima Lino lace. 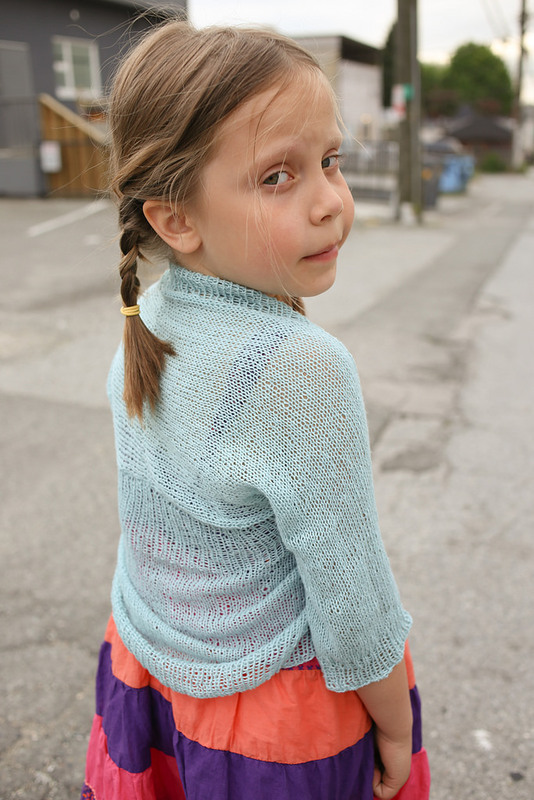 Thanks to Lily for being my fantastic model and showing the sweater off! We have it in the right now, so come by and check it out, and all the beautiful colours of the Pima Lino Lace. Thanks to Sylvia for the photo’s.